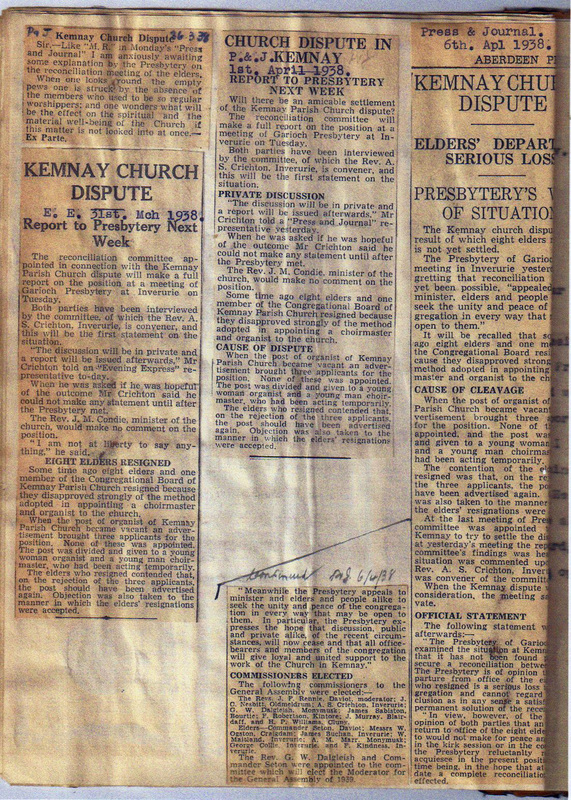 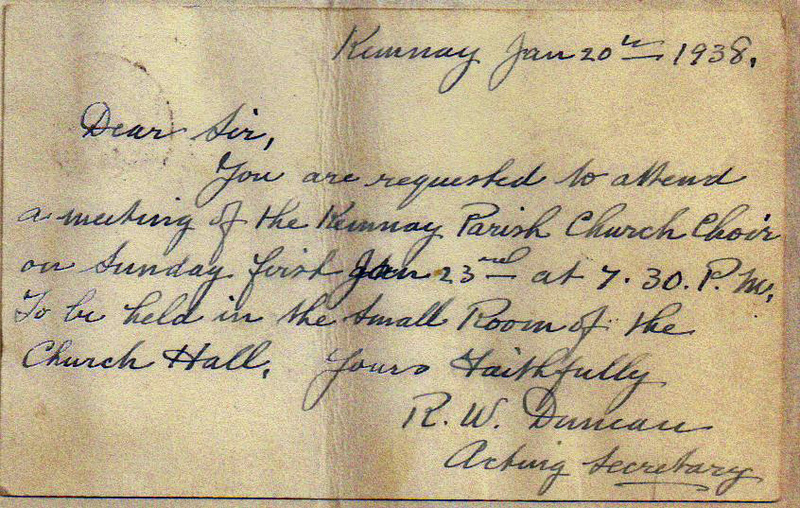 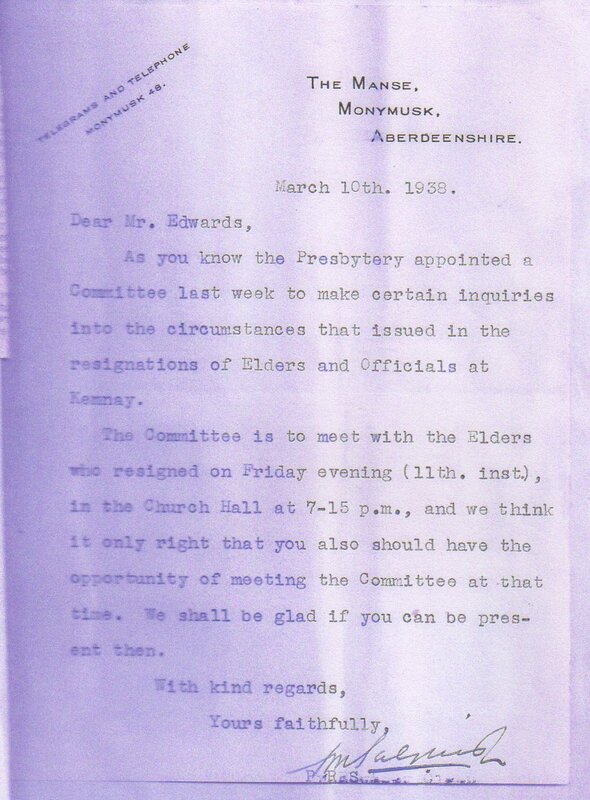 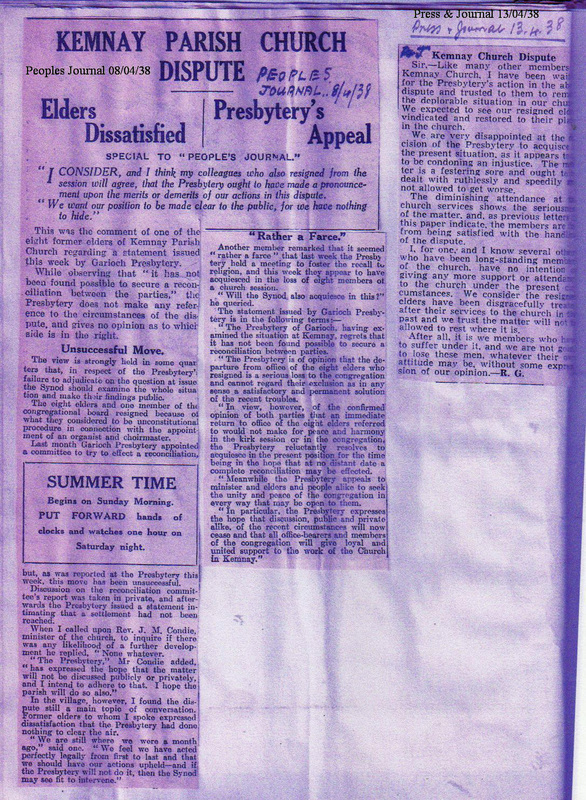 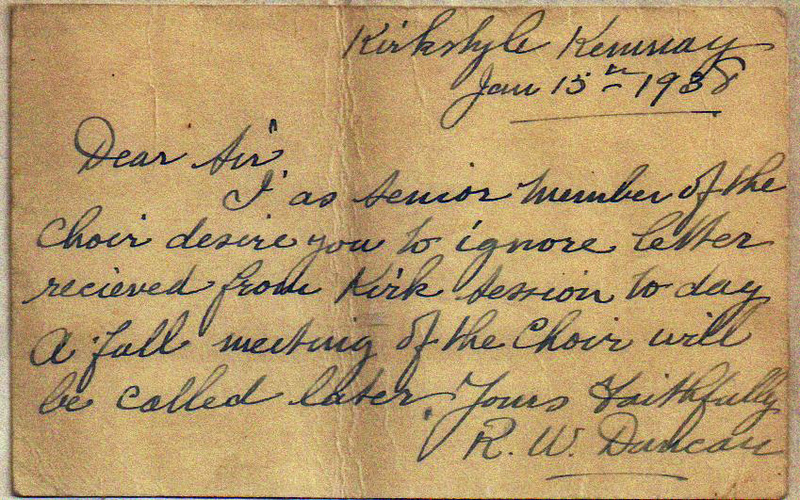 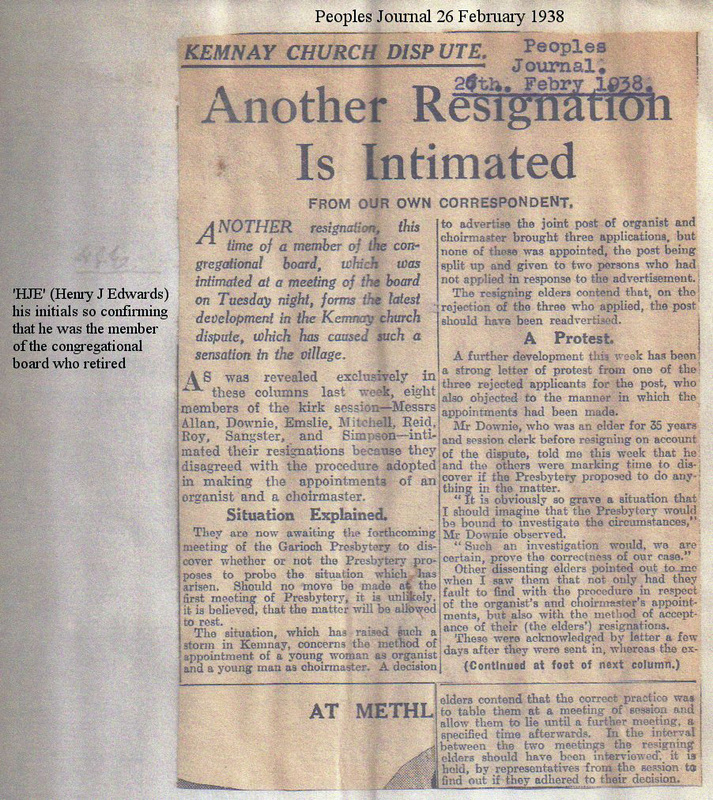 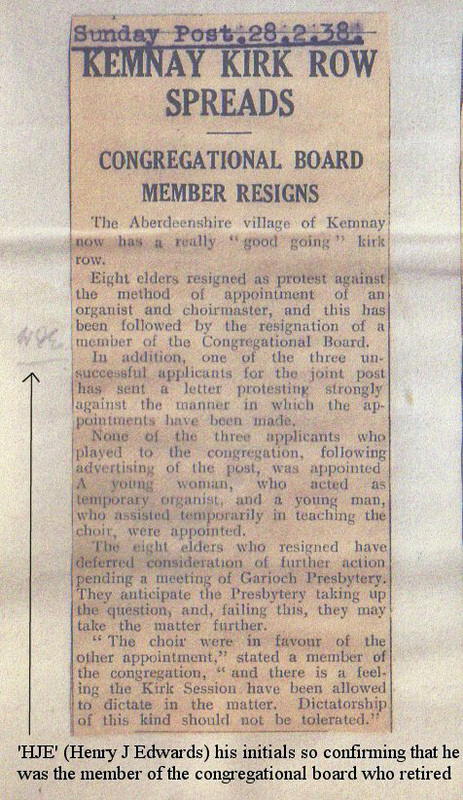 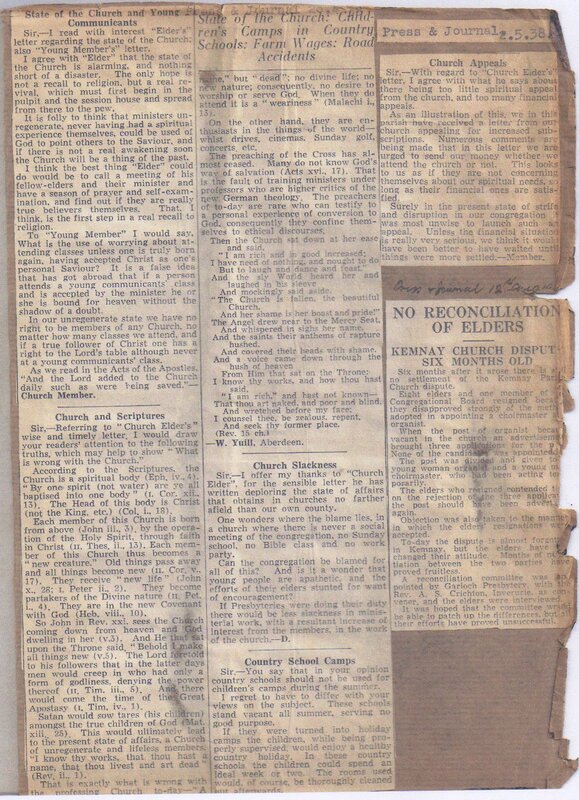 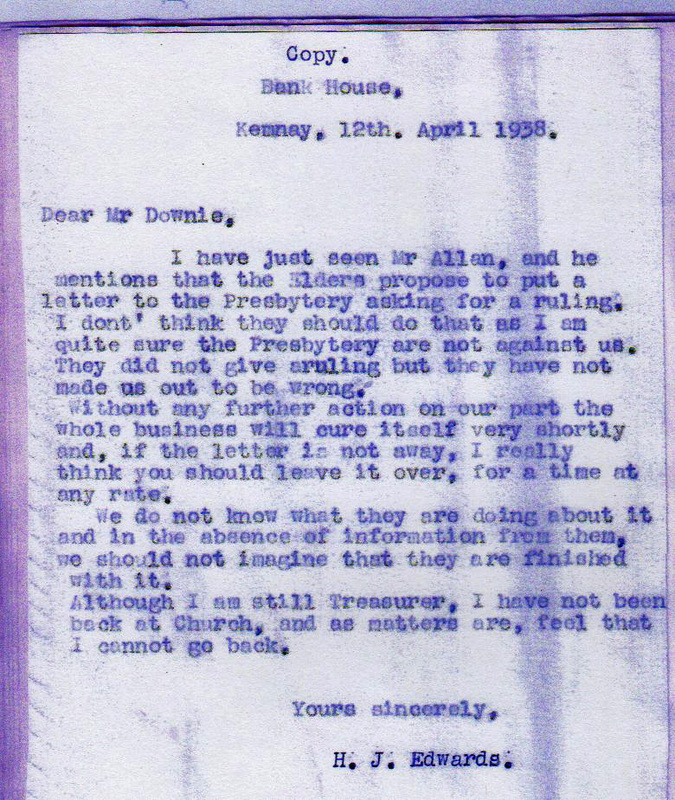 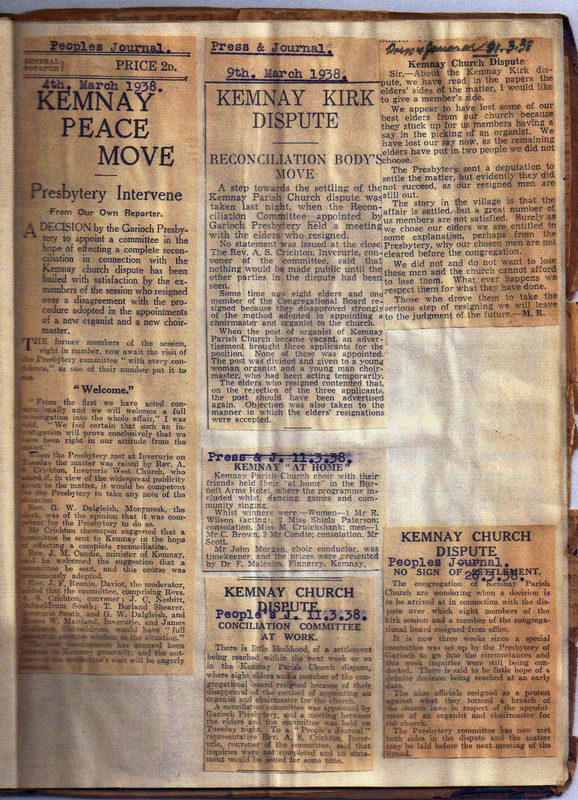 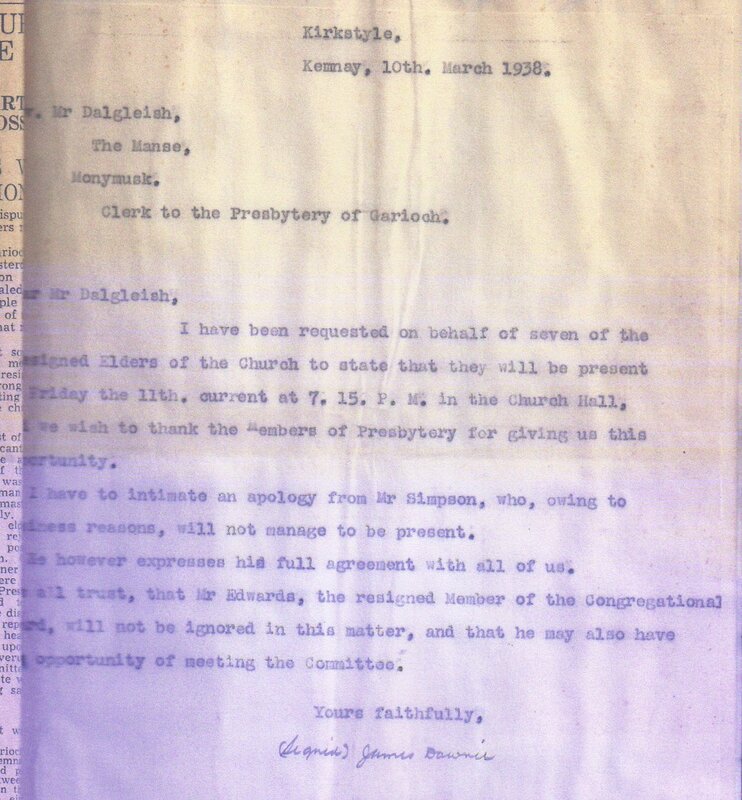 Norman also enclosed a photocopy of some material collected by his grandfather on ‘the Kemnay Church Strike’ in 1938. 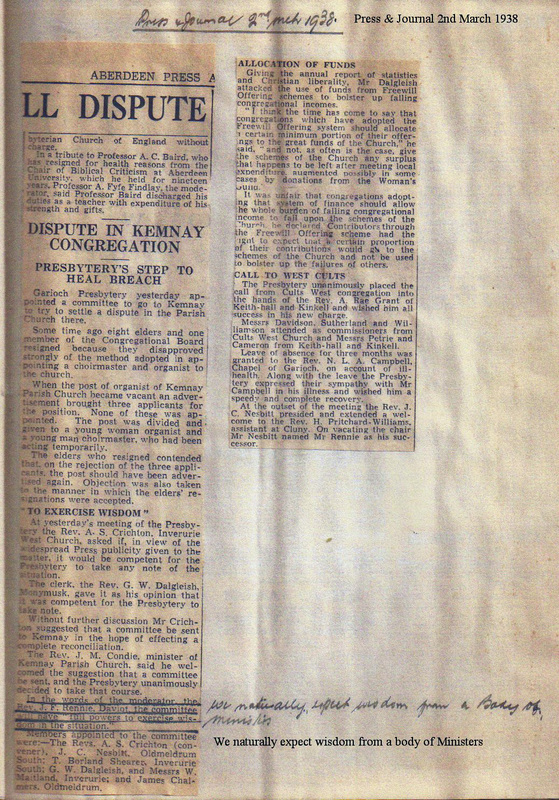 Norman says that he fits into this story because between 1951 and 1953 he lived in the Bank House with his parents and grandparents. 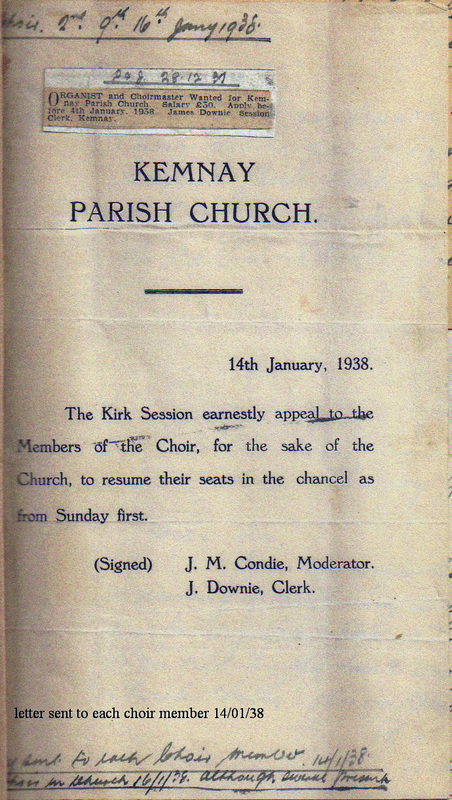 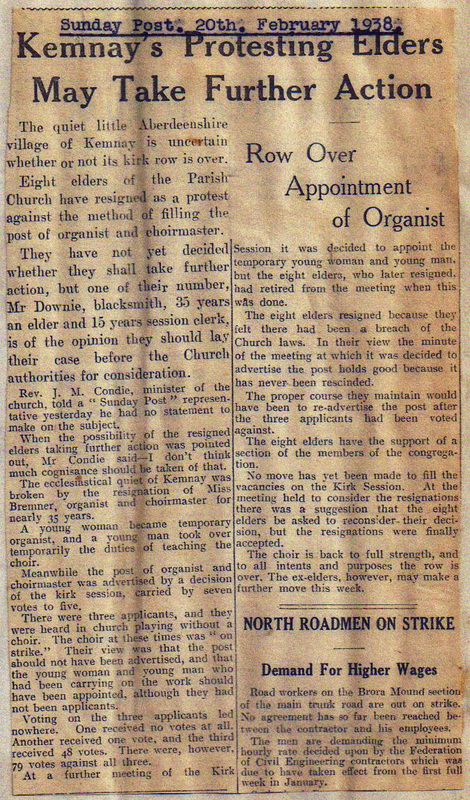 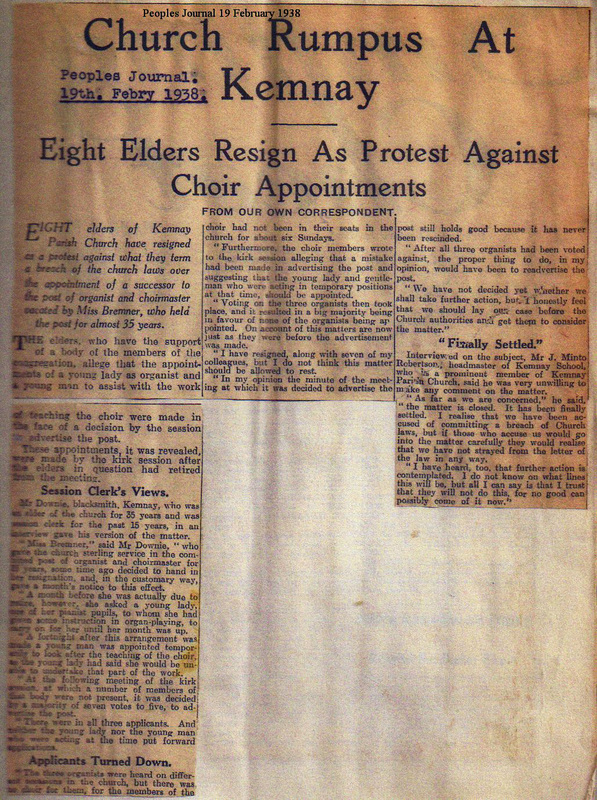 The strike was a result of the retiral of church organist Miss Bremner and a new church organist being employed, first of all the Choir went on strike and shortly afterwards they were joined by eight Kirk Elders. 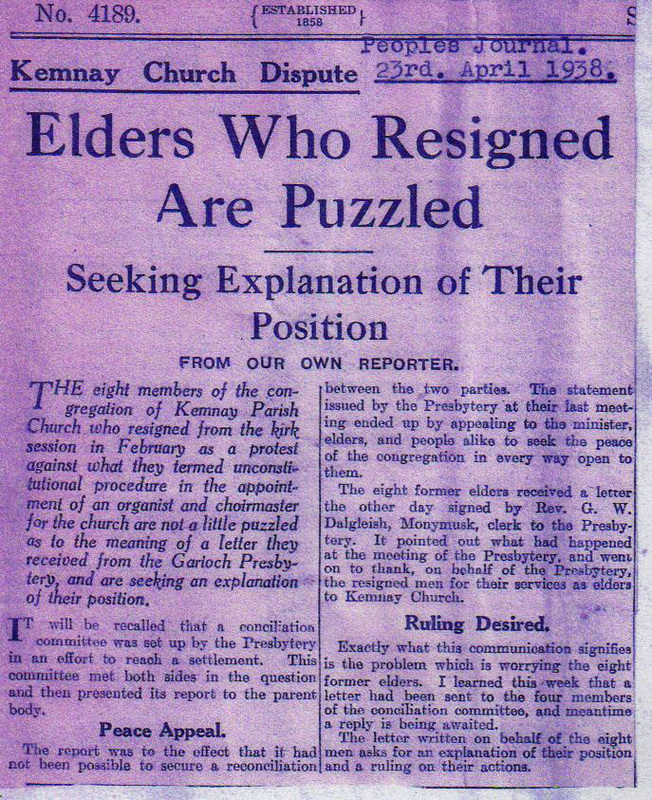 The amusing story is related below in a mixture of letters and newspaper cuttings.